Looking pretty amazing, I must say. What a stunning blend of futuristic and weirdly retro design. At the same time, it seems pretty strange. Since Maybach is not a separate brand anymore, it seems strange to have this all new design. The only Maybach available now is a stretched version of the S-Class. And their next morel will be a stretched version of the new E-Class. 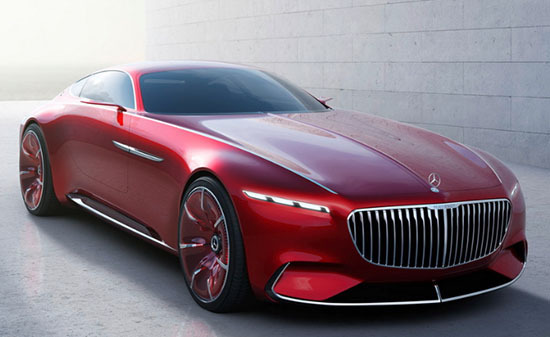 But it looks like Maybach might want to show off and have at least one original design in their portfolio. This concept looks like it wants to fight the Bentley GT. Which is actually a great idea. Considering how popular the GT has been. But... This is still just a concept. 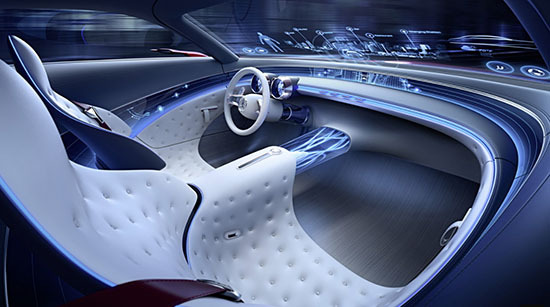 With its super futuristic and unrealistic interior. So it all depends on how the actual production car really looks like. And when it is coming out. Cool. we have sensors and cams now; blind spots and poor visibility can be accommodated for. The exterior (grille, front, side, rear) looks like they were channeling a Buick Riviera. Looks like the Porsche 911 Future Design Concept. Complete ripoff. I guess if you're really into art deco, then this is attractive. Looks like a car from a cartoon.